Identifying Horthy, who served as Hungarian head of state from 1920 to 1944, as an “exceptional statesman” is a gross distortion of historical fact and is the latest in a long series of propagandistic attempts of the Fidesz political party and the Hungarian government that Mr. Orban leads to rewrite Hungarian history. It constitutes an insult to the memory of the victims and survivors of the Holocaust and once again prevents the honest confrontation with history that the citizens of Hungary deserve. The Museum is firmly opposed to honoring leaders who played an important role in perpetrating the Holocaust because it creates the impression that the government of Hungary believes that antisemitism, racial and religious prejudice, and genocide merit praise rather than universal condemnation. 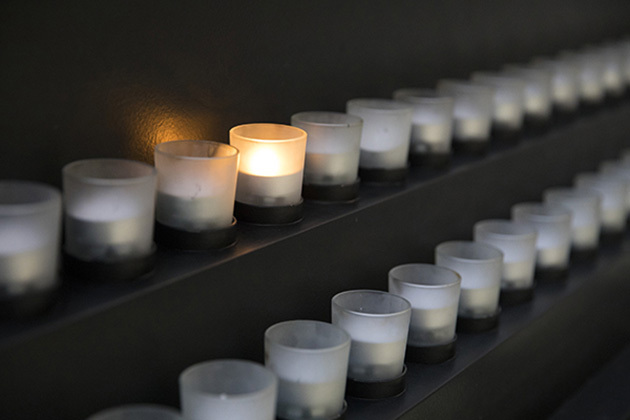 A living memorial to the Holocaust, the United States Holocaust Memorial Museum inspires leaders and citizens worldwide to confront hate, prevent genocide, and promote human dignity. Its far-reaching educational programs and global impact are made possible by generous donors. For more information, visit ushmm.org. Miklos Horthy was a self-declared life-long antisemite, and the Christian nationalist, authoritarian ideology of the state system he put in place reflected personal, deeply-rooted antisemitic prejudices. Shortly after Horthy assumed power, and many years before the Nazis rose to power in Germany, Hungary enacted the so-called Numerus Clausus Act of 1920, which effectively ended the legal equality of Jews in Hungary. In the 1930s after aligning his country with Nazi Germany, Horthy joined Adolf Hitler in dismembering and occupying parts of Czechoslovakia (1938 and 1939), Romania (1940), and Yugoslavia (1941). During the Holocaust his regime would later “cleanse” all of these acquired territories of Jews through shootings on the spot and mass deportations. When Horthy ordered the Hungarian Army to join in Germany’s attack on the USSR in June 1941, he set in motion events that would result in the loss of some 200,000 Hungarian soldiers on the eastern front, the occupation of Hungary by the Red Army, and 45 years of postwar communist dictatorship. It is impossible to consider this record as statesmanlike in approach or achievement. In terms of the Holocaust, Horthy’s record was one of direct culpability. Well before the massive deportation of Jews that took place in 1944, Horthy’s Hungary embarked on a systematic anti-Semitic policy. Between May 1938 and March 1944 the Hungarian Parliament passed 22 antisemitic laws. An additional 267 anti-Jewish ministerial and governmental decrees were issued during the same period. These decrees severely restricted the ability of Jews to earn a living, deprived many of the right to vote, and banned sexual relationships and marriage between Jews and Gentiles. The so-called “Second Jewish Law” of 1939 declared an official policy of forced Jewish emigration. Jews were excluded from service in the military, but were forced to perform unarmed labor service for the military instead. Horthy bears responsibility for the thousands of Jews who perished in these labor battalions. 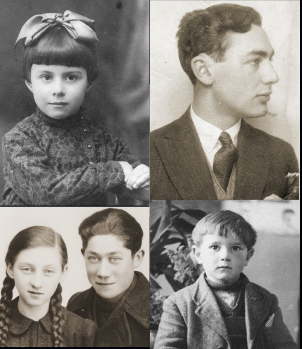 Early in the war, Hungary forced some 18,000 Jews across the border into German-occupied Ukraine, where they were executed at Kamanets-Podolsk in one of the first mass shootings of the Holocaust. This action, however, pales in significance relative to Horthy’s agreement during a meeting with Hitler in spring 1944, when Axis defeat appeared certain, to deport the Jews of Hungary into the hands of the Germans. Horthy accepted the entry of German military forces—Axis allies—and an SS contingent led by Adolf Eichmann into Hungary in March 1944, and ordered his own military and civil authorities to put up no resistance. He named the appointees who would carry out the action against the Jews. While at that point he stated his intention to “withdraw” from direct involvement in Jewish affairs, he was well aware of and condoned the persecution that followed. With Horthy still head of state (Regent) and providing the continuity and legitimacy that his presence represented, Hungarian authorities concentrated in ghettos and deported 437,402 Hungarian Jews on 147 trains in just 56 days between May 15 and July 9, 1944, the vast majority to Auschwitz-Birkenau, where most were murdered on arrival. At his trial in Israel decades later, Adolf Eichmann remarked on the massive and efficient collaboration of Hungarian military, gendarmerie, and civilian authorities during this period. Apologists have argued that after the entry of German military forces into Hungary in March 1944, Horthy had no power to halt the deportations. But the facts disprove this assertion. On July 6, 1944, Horthy ordered the deportations to stop, and three days later they did. In August he changed his mind, and with Horthy’s approval the government prepared a written agreement with the Germans to resume deportations. Only rapid changes at the front prevented the resumption of deportations and saved the lives of a small part of the Hungarian Jewish community from the final deportations that Horthy had authorized.